A little heat, a little sweet and quite possibly, the best condiment out there. 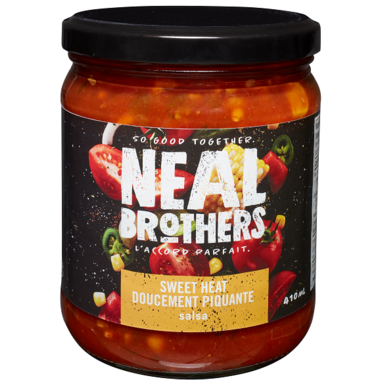 This Neal Brothers Salsa has no artificial ingredients, no colouring, no preservatives, and is thick, flavourful, and chunky. 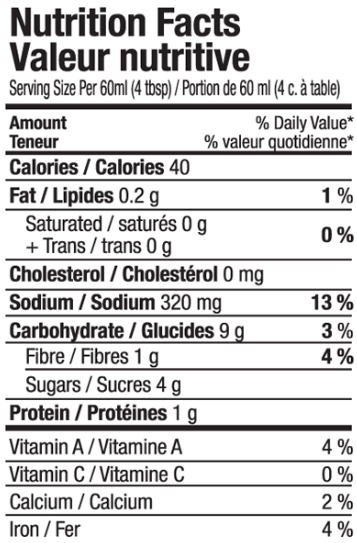 Ingredients: tomatoes, water, corn, cider vinegar, tomato paste, evaporated cane juice, onion, white vinegar, green pepper, jalapeno pepper, corn starch, salt, dehydrated onion & garlic, mustard flour, dehydrated red bell pepper, spices. Other stores carry Neal Brothers, but Well.ca is the only place where I can find this particular salsa. It's incredible and I highly recommend it. This salsa is absolutely delicious and MADE to be paired with eggs! I absolutely love this salsa! I was sad when my local stores stopped stocking it but estatic when I saw that well.ca does!!! Highly recommend my most favorite salsa!! This salsa is the only salsa we eat in our house! So happy well.ca carries it. Weâ€™ve been buying it for years but what could be better then delivery to your door! Superb. Tasty as it could be. Very satisfied. This Salsa is fantastic. I have bought it several times. I don't know if I got a bad product but I bought two and they both have a very strong vinegar taste, everyone who tried it spit it out. The jar were sealed and had no damage. Best salsa you can buy!